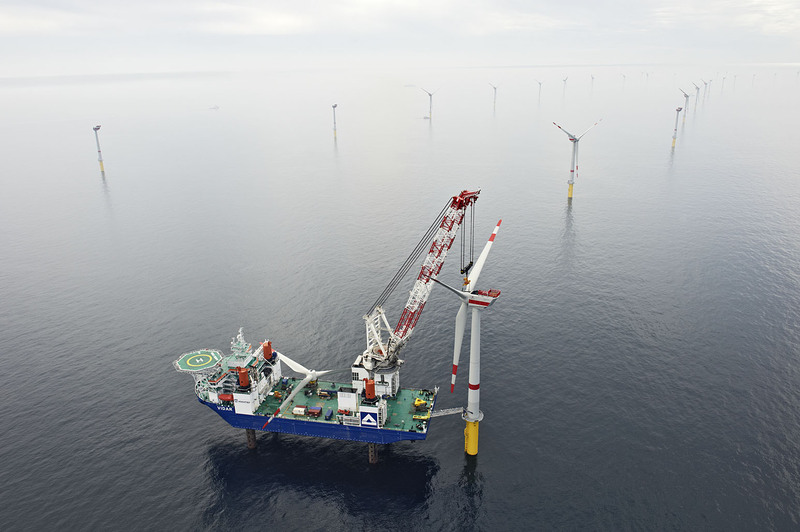 Within the motto „create value, secure frameworks, improve conditions and reduce costs“, the project coordinated by the Foundation seeked to elaborate the further prospects for the value added by the offshore wind energy sector in the German maritime industry. In late 2016, offshore wind farms with a total output of approximately 4,000 MW were connected to the grid in Germany. The current focus on cooperation in the areas of planning, development, construction, assembly and investment will be further intensified and extended to the operation and maintenance of offshore wind farms. The further expansion of offshore wind energy and the safe operation of the turbines and platforms can only be achieved collectively in cooperation with the maritime industry. Therefore, the maritime sector and the offshore wind sector must jointly develop strategies in the short term in order to cope with the continuous new challenges. Especially in the areas of operation and maintenance, the offshore wind energy industry is still in a learning phase and initial experiences are currently being expanded. The project seeked to further promote cooperation between the maritime and offshore wind energy industries. In the provided work packages, solutions for current problem areas had to be developed jointly and in a timely manner. The existing networking structures established through previous projects (e.g. AK Vernetzung) and the activities of the Foundation had to be transferred to current topics. The work group was started in 2010 and is a network of diverse players in the offshore wind industry, the maritime industry, and research facilities as well as state and federal ministries. Urgent action requirements which were defined by the industry and policy makers, in particular in the “Broad Outline for a Maritime Agenda 2025” (“Eckpunktepapier für eine Maritime Agenda 2025”) and the report paper from the offshore wind industry sector, had to be jointly discussed and edited. The project therefore supported the German federal government decisively with the implementation of the maritime policy objectives, while also taking into account the interests of the maritime industry and the offshore wind industry. The goal of the project was the discussion of the further prospects for the value added by the offshore wind energy sector in Germany. The definition of common approaches to solutions was intended to support the maintenance and expansion of domestic value creation. The project comprised a total of six work packages: faster network and grid expansion, operational and maintenance periods, port development, maritime safety issues in the exclusive economic zone, and training and education in the offshore wind energy industry. Within the framework of the past project “Networking the Maritime Industry with the Offshore Wind Energy Industry” a broad and diverse network (AK Vernetzung) was established. The expertise provided by that network was used in the project by constructively involving the relevant partners and specialist groups. February 2016 – December 2018. The project was funded by the German Federal Ministry of Economic Affairs and Energy.